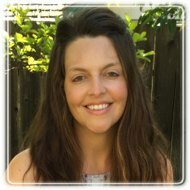 Walnut Creek Therapist: Meredith Reddoch - Therapist 94596. Send A Message To Meredith. Session Fees: Please visit my website for fee information. I am a trained Licensed Marriage and Family Therapist. I have been practicing since 2006 and have worked extensively with individuals and couples with a range of mental health concerns. My theoretical approach is eclectic, pulling from a variety of theories that best suit the client and situation. I work from a client centered, humanistic approach, and use a variety of modalities in session. Some of these approaches include Cognitive Behavioral Therapy (CBT), motivational interviewing and Dialectical Behavioral Therapy (DBT). I completed my Somatic Experiencing® Practitioner (SEP) certificate in 2017. Somatic Experiencing ® (SE), an approach developed by Dr. Peter Levine that focuses on regulating the autonomic nervous system, is successful in healing trauma and accumulated stress.